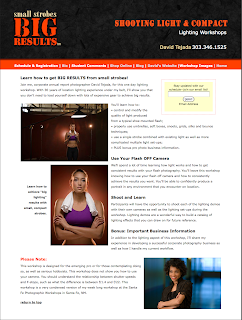 I'm excited to announce that I have redesigned my Small Strobes, Big Results web site. Actually, my wife Debbie is the one who did this for me. You will also see that I am now selling my popular SSBR Umbrella Adapter Flash Mount on the site. 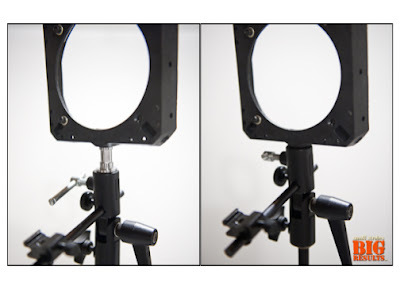 For those of you that already own softboxes and are looking for a convenient way of mounting your flash, this will help. Like a lot of you, I own several soft boxes and speed rings which fit my larger studio lights. I wanted to be able to use my existing boxes and speed rings with my small flashes without buying a new dedicated speedlight softbox. I use to use a Justin Clamp to mount my flash on my speed ring, this method added weight and was a bit clumsy. The SSBR Umbrella Adapter Flash Mount is constructed of high grade extruded aluminum that has been anodized flat black and fitted with a high quality cold shoe. Mounting my speed ring on the top of my umbrella adapter allows me the ability to pitch my soft box for more controlled lighting. 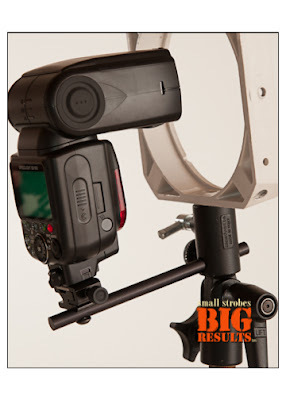 I find that this product works for about 99% of all flash and speedlight combinations. If you find your flash is too tall to fit into the center of the speed ring, you may need to pick up a taller stud to accommodate a proper alignment for your flash. Shown below are both the extended reversible stud height and the standard stud height. Like I said, I find the standard stud height that comes most umbrella adapters work 99% of the time. 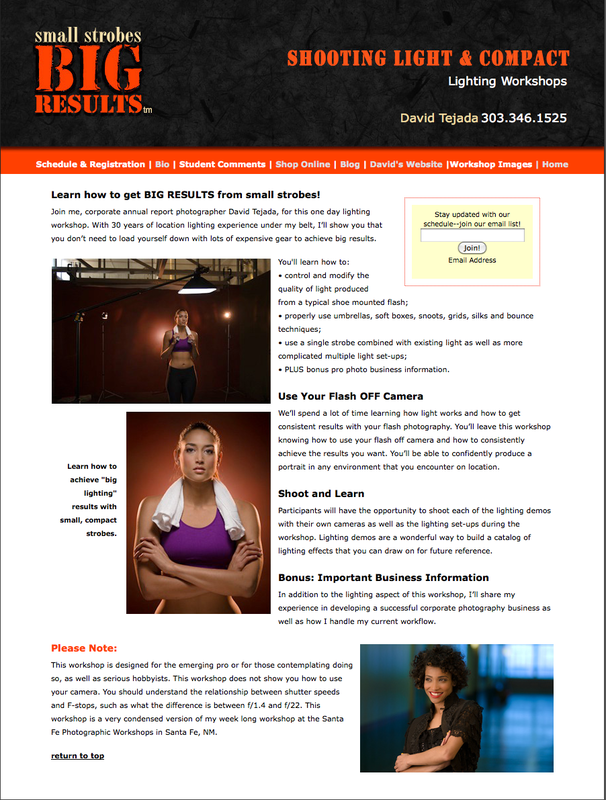 I have also added 4 SSBR workshops on the calendar for 2012 here in Denver, If you would like to have a workshop in your area, feel free to contact me for more details.